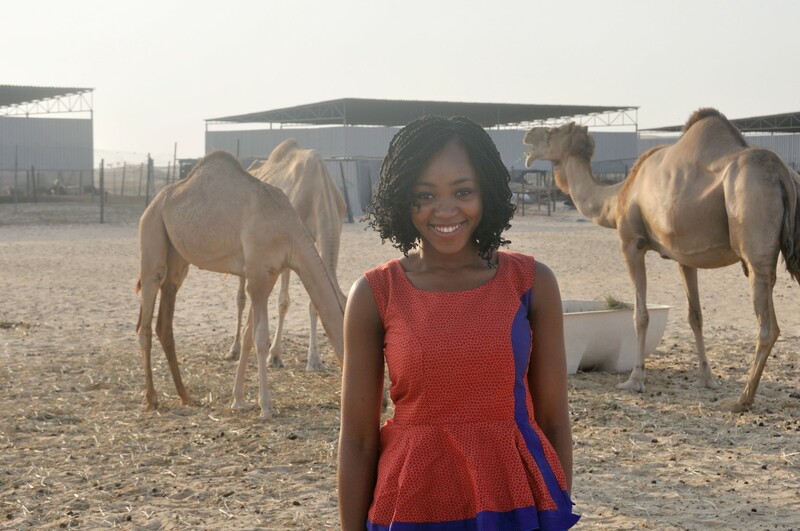 Dubai remains one of the favorite destinations for Nigerian travellers. With fairly easy visa processes and relatively close proximity to Nigeria’s largest cities, it’s no wonder why this is so. Over time, I have received questions from travellers looking to visit the United Arab Emirates city, so I have decided to compile these questions within a single post. So, if you are looking to visit Dubai for the first time, here’s everything you need to know. How can I travel from Lagos to Dubai? Currently, Emirates operates two daily direct flights from Lagos to Dubai. This is typically the fastest route to the city. Other airlines like Etihad, Kenya Airways and Ethiopian Airline also operate flights to the Dubai, with technical stops at their various hubs. What is the cheapest time to fly to Dubai? The summer months (July and August) and the month of Ramadan are usually the cheapest to visit. However, you may want to keep the weather condition in mind. During those months, temperatures may rise up to 40°C, and the city can get terribly hot and humid. The months from November to February are especially pleasant weather wise but it may be slightly more expensive to visit then. A good sweet spot will be to visit in November (before the Christmas rush) and in late February after the Dubai shopping festival. How many hours does it take from Lagos, Nigeria to Dubai, UAE? If you fly directly, the time will shorter. An Emirates flight from Lagos to Dubai will take around 7 hours. Etihad flies directly to Abu Dhabi for about the same time and offers a coach service to Dubai. That’s an option to look at if you’re comparing flight time and expenses. Other airlines will take more time as they have to make a stop at their hubs. What documents are required for a Dubai (UAE) visa? You can get the UAE visa in one of two ways. First, you can apply directly through VFS or use the services of a trusted travel consultant or sponsor in Dubai to get an e-visa. I have only ever applied for an e-visa and most people I know have done the same. This is the easiest way to get the visa. Depending on the sponsor, you would need, at a minimum, a copy of your passport biodata page and a passport photograph. Some agencies may request for additional documentation such as proof of sufficient funds, return tickets and so on. How much does it cost to get a Dubai (UAE) visa in Nigeria? The costs of a (tourist) e-visa may start from around ₦40,000 – ₦50,000 and upwards. It is best to contact your sponsor for a more accurate quote. The price may also change based on the type of visa and the duration for which you are applying. How many days I can stay in the UAE on a tourist visa? The duration of your visa will determine the number of days you can stay in the country. You could incur a penalty if you overstay and you could also be refused further entry into the UAE. What are some exciting things to do in Dubai? I will write a separate post for this. See this as a placeholder and look out for the new post. Plan to use public transport? Get a Nol card. This card goes for 25AED and can be used on the Metro, Bus, Tram etc. You can get it from any Metro station. If you’ve used the card once, it’s advisable to check your card balance before your next trip to be certain it contains sufficient funds. Unless you want to be charged a bazillion Naira for roaming, I suggest you get an international SIM card. I got an Etisalat sim preloaded with talk time and data for 100AED. If you don’t have Google Maps installed on your phone, stop reading this post and go and install it now! I’m just kidding, finish reading the post, comment, share and then install Google Maps. After switching to the Etisalat sim, Google Maps became my best friend. It showed me the best route, what bus/train to take, it basically removed the “I am a tourist, I don’t know my way” sign from my forehead. I don’t mean you shouldn’t sleep at all, what I’m trying to say is that you shouldn’t get too comfortable riding the metro or bus that you fall asleep and miss your stop. On one of my trips, I slept off and I had to get down 2 bus stops from mine. Don’t blame me, the bus ride was amazing! Dubai is cold this period, so it’s advisable to pack a sweater. I assumed Dubai was hot so I left my sweater at home and boy was I welcomed with a cold surprise upon arrival. If there are other tips I missed, let me know in the comment below. I hope this helps you plan your trip better, enjoy your vacation! Image credit: Fredrik Öhlander, Divjot Ratra, and Darcey Beau on Unsplash. Hi, can a gtbank or zenith bank naira card be used for shopping? I’m interested in the accommodation, please. Hi Vivian, you need to download the booking.com app or log in to the website and book your accommodation from there. Wonder what will happen now after those idiot robbers ! I saw that video too, such a shame! Sadly, this isn’t the first incidence of robbery by Nigerians in Dubai. But I’m hoping that visa procedures will still remain favorable because I think the number of Nigerians who visit and remain well behaved outweighs those who don’t.